Tell us a bit about your relationship with Beethoven’s 4th Piano Concerto? When I first came across this concerto, one of the first things that I learnt about the work was the association of the second movement with the legend Orpheus and Eurydice, and from that moment I was totally intrigued to find out more. I then heard the rest of the concerto and was hooked. It has remained ever since, one of my favorite piano concertos. Why did you decide to couple it with the more ‘unknown’ Mendelssohn Double Concerto? Many might not be aware but it was Mendelssohn who revived the Beethoven 4th piano concerto when it became eclipsed by his 5th, so it seemed appropriate to couple the disc with a work by Mendelssohn. Zsolt, who is the violinist on the album, is one of my regular duo partners so it all felt very natural. Any technical hurdles that you encounter as a pianist, especially with this particular concerto? And with Beethoven in general? Beethoven always throws in challenges but with this particular concerto I would say that there are more musical issues, like the transitions between each section. Otherwise I find that voicing and how to find the right balance between bringing out some of the more technical passages versus the tonal content is always an exploration point. You are a Steinway artist, and at the record launch at Steinway Hall in London, you played Beethoven’s ‘Tempest’ Sonata Op 31 No 2. Why did you choose this piece? I love Beethoven and try to include at least one work a season by him. I heard Pollini perform the Tempest live a few years ago and his interpretation was so inspiring that I wanted to go and explore my own version. You also played Schubert Impromptu Op 90 No 4 and Liszt Vallée d’Oberman from Années de pèlerinages (Suisse). Tell us a bit about these pieces and what they mean to you? The Schubert impromptus are a desert island collection for me. I could listen to them eternally, played by many different artists. 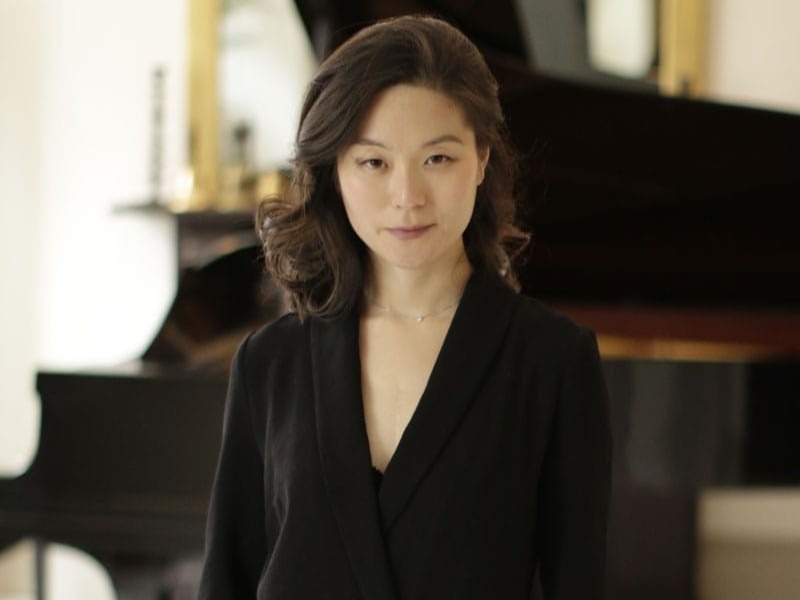 The Liszt is not the traditional Liszt audiences expect to hear and I included the Vallée d’Oberman because I wanted to introduce this work to those who might know it. It is a very visceral work and can provoke unexpected emotions. 1. If there was only one composer you could play from now on, who would it be? 2. If there was only one piece you could play from now on, what would it be? 3. If there was one pianist you’d travel long and far to hear (dead or alive), who would it be? It changes depending on the moment, but currently it is Chopin. I saw the Delacroix exhibition at the Louvre Museum recently and was really moved by what he wrote about him. 4. One person you’d love to play for? One of the conductors from yesteryear or perhaps a jazz great like George Shearing. 5. If you could give some short advice to an amateur pianist wishing to improve, what would it be? Watch and listen! You can learn so much from watching other pianists perform. It seems an obvious thing to say, but nothing beats a little practice every day. A good professor will help with overcoming technical and musical hurdles of each piece, but above all enjoy. 6. What’s next on your agenda? For the immediate few days, recording session of a work by Robin Walker for his anniversary disc. Otherwise, more long term working on my next album. 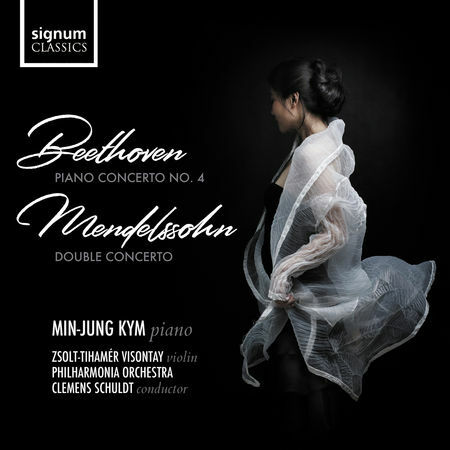 Download Min-Jung Kym's incredible debut album here.